Chronic inflammation is one of the biggest killers in the world. It is a growing problem that affects a significant number of people, and it has links to almost every chronic disease. On the positive side, we can mostly avoid it depending on how we live our life. This article will explain some simple ways to reduce inflammation through a healthy and active, real food lifestyle. Inflammation is supposed to be a natural process that helps our body heal from injury or illness. During an inflammatory response, macrophages (local immune cells) are the first to defend the body. Also, chemical messengers known as cytokines warn the immune system about the problem and small white blood cells (lymphocytes) fight the infection/damage. Inflammation is a way for the body to protect itself from acute injury, heal wounds, and fight bacterial pathogens. It is perfectly natural when it occurs for a short time (acute inflammation). However, always-on, chronic inflammation sets the scene for illness and disease. To be specific, there are strong links to cardiovascular disease, stroke, Alzheimer’s, cancer, and a host of modern diseases (1, 2, 3, 4). Key Point: Inflammation is a natural, biological process. However, it is only supposed to last for a short time, and chronic inflammation can cause major health problems. I’m sorry to all those lists of vegetables that “beat” inflammation, but a kale smoothie does not make up for a poor lifestyle. Regarding inflammation, it is our whole diet and lifestyle that are important. Fortunately, living a healthy and active lifestyle can stop inflammation in its tracks. Key Point: There are several natural ways to reduce inflammation. Not only diet but also sleep, exercise, and lifestyle are important. One good example of a low-inflammatory diet is a low carb plan. Firstly, several studies show that diets lower in carbohydrate are more successful in reducing inflammation than low-fat diets (5, 6, 7, 8, 9). Low carb diets can be anything up to around 100 grams of carbohydrate. However, it is not just the amount of carbohydrate and fats that matter but also the quality. Some carbs (like spinach, berries, and mushrooms) are very healthy, while some fats (such as margarine) are terribly bad. Key Point: No one diet is the right fit for everyone, but removing processed foods and refined carbohydrates is key to an anti-inflammatory diet. Refined Vegetable Oils: these food ‘products’ are popular throughout the fast food industry, have a pro-inflammatory ratio of omega-6 to omega-3, and they are very unhealthy. Sugar: this sweet, white powder is responsible for many of the problems we unfairly blamed on saturated fat. Notably, studies over recent years show links to obesity, diabetes, and a range of chronic disease (10, 11, 12). Grain Flours: These are basically nothing more than sugar; they are ultra-processed and devoid of essential nutrients. Unfortunately, wheat flour is in almost every packaged food. Cakes and Pastries: Bakery items can contain some of the worst ingredients known to man; it’s not unusual to see large amounts of sugar, vegetable oils, and even trans fat. Candy and Sweets: The vast majority of candy and sweets are full of sugar and questionable additives. Soda: Extremely sweet drinks that also contain numerous additives, flavors, and colors. A meta-analysis of studies shows that the higher our sugar-sweetened beverage consumption, the higher the risk of obesity and diabetes (13). Excessive Alcohol – While studies show that alcohol can be beneficial in moderation, excessive alcohol intake leads to chronic inflammation. Bread: Almost all commercial bread is a combination of bleached wheat flour, vegetable oils, preservatives, and additives. Jarred Sauce Products: Products such as pasta and curry sauces tend to contain enormous amounts of sugar, and they often contain vegetable oils too. Food Sensitivities – Some typically healthy foods may be pro-inflammatory if someone has a food sensitivity. As an example, nuts and dairy products are both common allergens that cause problems for numerous people. Key Point: These are all foods that cause inflammation. As a result, cutting them out is one of the quickest ways we can lower inflammatory markers. A diet based on real food should be our aim. Cacao/Dark Chocolate: Healthier dark chocolate means a minimum of around 85% cacao. Surprisingly, cacao is one of the most nutrient-dense foods in the world, and it is loaded with inflammation-fighting polyphenols (14, 15). Red Wine: Studies show that moderate alcohol consumption lowers inflammation and it also positively affects our lipid profile (heart health) (16). Salmon: Salmon provides a huge source of anti-inflammatory omega-3 fatty acids. It also contains a lot of minerals that positively impact inflammatory pathways (17). Red Meat: Despite what you may have heard, red meat is one of the most appropriate foods for humans. For one thing, it is full of nutrients — many of which the average person is deficient in — and it is also a source of glutathione (18). Berries: With almost any berry, you’re sure to find many polyphenolic compounds. Polyphenols reduce inflammation and help protect the body from disease. For me, blueberries and blackberries are the tastiest. Herbs and Spices: Gram for gram, herbs and spices are the most antioxidant-rich foods in the human diet, and they are anti-inflammatory in nature. Turmeric, rosemary, basil, curry powder, sage, and cinnamon are just a few of many. Coffee: As the biggest source of antioxidants in the American—and Western—diet, coffee is a healthy and anti-inflammatory drink. Spinach: Perhaps the most nutritious vegetable and it provides liberal amounts of potassium, magnesium, and manganese. In particular, magnesium has a significant effect on inflammatory markers (19). Seaweed: Sea vegetables contain unique phytonutrients such as fucoidan and fucoxanthin; both appear to exert significant anti-inflammatory effects (20, 21). Olives: Olives contain several inflammation-fighting compounds, such as oleocanthal. This natural compound mimics the anti-inflammatory properties of ibuprofen (22). Key Point: Focusing on nutrient-dense ‘real food’ goes a long way in fighting inflammation. In addition to a focus on real food, exercise is an important lifestyle factor to consider. We often hear that a ‘healthy and active’ life means we can enjoy snacks each day (mainly thanks to food industry marketing). However, only half of this equation is right. 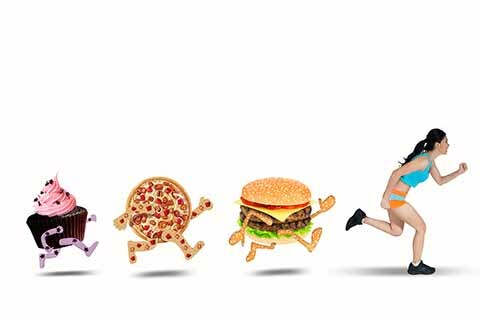 Living a healthy and active life has many benefits, but eating junk food just subtracts from these. Exercise downregulates pro-inflammatory compounds, increases anti-inflammatory cytokines, and reduces fat mass and tissue inflammation (23). A study featuring 47 participants shows that an exercise regime doesn’t have to be intense to be effective. Markedly, just 20-minute moderate exercise had an anti-inflammatory effect across all participants (24). Exercise acts as a natural anti-inflammatory by suppressing inflammation pathways. In addition, exercise upregulates repair proteins and enhances the antioxidant defense system (25). If you want to start an exercise plan but feel overwhelmed, then start slowly. It isn’t an all or nothing thing and just 20 minutes a few times per week is a great start. By all means, a gym membership is a great investment, but it isn’t necessary. Bodyweight exercises such as squats, pull-ups, and push-ups are easy to do at home, and you can progress in the future. High-intensity interval training is also a great option which has numerous health benefits. Key Point: Starting an exercise regime is an excellent way to reduce inflammation, it can be a fun challenge, and it encourages a healthier lifestyle. Sleep is a key point regarding our health. Many people make an effort to attain the perfect diet, diligently work out, but then sleep for 4 or 5 hours per night. Not only does this subtract from the benefits of diet and exercise, but it also has some harmful impacts on our body. Lack of sleep in human study participants causes higher insulin levels and increased inflammation, even after only one night of poor sleep (26, 27). In healthy individuals, sleep deficiency upregulates pro-inflammatory cytokines. Also, inflammation, blood glucose levels, and various other cardiovascular risk markers all increase (28). Sleep deficiency induced inflammation has strong associations to gastrointestinal disorders (29). Human study participants restricted to 4-hours of sleep show greater fasting glucose levels and lower insulin sensitivity (30). Sleep is one of the very best natural remedies for inflammation. Lack of sleep is just as bad for you—if not more so—than a poor diet. Key Point: The important of sleep is often underestimated, but it is critical to our health. Healthy sleeping patterns help reduce inflammation. Social and professional relationships are vital in life and can either help cause or reduce stress. Similar to short-term inflammation, acute stressors can be beneficial and are an entirely normal part of life. However, prolonged and chronic stress increases pro-inflammatory hormones like cortisol. Stress can cause various chronic illnesses, and it strongly contributes to inflammation and the metabolic syndrome (31, 32). Chronic stress leads to rising inflammation levels that are particularly predictive of cardiovascular heart disease (33). Stress contributes to accelerated aging via upregulating inflammatory markers. As a result, it plays a role in the progression of age-related illnesses such as Alzheimer’s, cancer, and osteoporosis (34). Make time at least once per week for something you enjoy. Whether it’s a game of tennis or reading a book, the important thing is that you ‘switch off’ from work commitments. 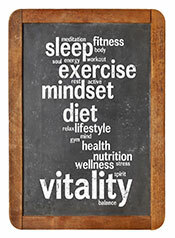 Live a healthy and active lifestyle; a proper diet, sleeping pattern and exercise plan can all help lower stress levels. Spend time with the important people in your life, and enjoy your social relationships. In view of prolonged stress, it might be worth seeking help from a professional. Key Point: Stress takes a heavy toll on the body and adequately controlling stress levels allows us to reduce inflammation. The sun plays a critical role in the world ecosystem, and it is also essential to our health. Despite many people knowing about vitamin D, sunlight offers far more benefits than this. As a result, it is important to get some sunlight each day, but the key point is not to overdo it. While sunlight is healthy and anti-inflammatory, sunburn is just the opposite. Humans should get some sunshine during early daylight hours. We are “programmed to be outside, “ and sunlight leads to longer night-time production of melatonin, a hormone which fights inflammation (35). The sun has cardiovascular health benefits independently of vitamin D, possibly by reducing inflammatory markers (36). Upon exposure to sunlight, human skin releases compounds such as vitamin D and nitric oxide which have anti-inflammatory effects (37, 38). While the sun is promotive of good health, sunburn can increase the risk of skin cancer. For this reason, always be careful not to burn and stay safe. It is also likely that there is an inter-relationship between diet, the sun, and skin cancer. Key Point: Sunlight has many benefits, and helps our body to produce health-supportive hormones and compounds that reduce inflammation. Diet and nutrition are of critical importance to a healthy life. But if we ignore other, equally important lifestyle factors, then we are only solving part of the puzzle. For optimal health, we should focus on progressively improving all five steps. Is CRP the inflammation measurement in the blood test? Yes, CRP is recognized as one of the best markers of inflammation.